This is a bit of a short post as I’m spending most of my time working towards writing up some of my thesis. I should hopefully be able to offer a few “weightier” posts in the coming weeks. I’d ideally like to post something soon covering Durham on Justification (which is partially related to the free offer), and also another post on the Covenants. This post focuses on Calvin and one of the few truly good theologians of the 20th century R.A. Finlayson. For those who may not have heard of him, Finlayson was Professor of Systematic Theology at the Free Church of Scotland College from 1946-66. 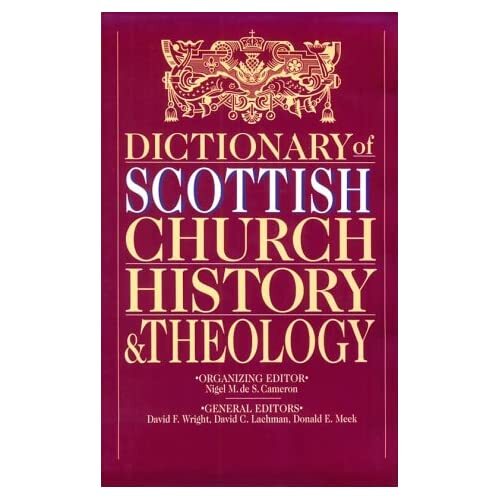 According to the Dictionary of Scottish Church History and Theology he was “a founding member of the Scottish Tyndale Fellowship, which later became the Scottish Evangelical Theological Society… He was also active in the beginnings of the Inter-Varsity Fellowship… He was much in demand as a preacher and conference speaker, with a wit as sharp as his pen.” p321. It is one of his conference addresses I want to quote from now. It is ‘Calvin’s Doctrine of God,’ Able Ministers of the New Testament, Papers read at the Puritan and Reformed Studies Conference, 1964, p3-18 Rept. Tentmaker. There is the further difficulty of reconciling the expressions of God’s desire for men with God’s absolute decree concerning man. It would seem clear that God wills with genuine desire what he does not will by executive purpose. This has led theologians to make use of the two terms, the decretive will and the perceptive will of God, or His secret and revealed will. For example it is revealed that God would have all men to be saved and come to a knowledge of the truth, while he has not decreed universal salvation. Commenting on 2 Peter iii. 9, Calvin says: ‘But it may be asked, If God wishes none to perish, why is it that so many perish? To this my answer is, that no mention is here made of the hidden purpose of God according to which the reprobate are doomed to their own ruin, but only of his will as made known to us in the gospel. For God there stretches out His hand, without a difference, to all, but lays hold only of those, to lead them to Himself, whom he has thus chosen before the foundation of the world’. Thus it cannot be said that God merely desires the ultimate salvation of all men without also desiring their repentance and faith and sanctification: for as Calvin says that would be ‘to renounce the difference between good and evil’. The position could thus be more clearly put as meaning that God desires all men to be righteous in character and life and to use the means he has appointed to that end. It is in harmony with the revealed will of God that without the use of means appointed by Him the end shall not be attained. As a holy God, the Creator commands all his moral creatures to be holy, and He cannot be conceived as in any way obstructing their pursuit of holiness by His decree. Now I just want to make two points here. First Finlayson is accurately representing Calvin. Calvin has no hesitation in using “desire” (or similar terms) in reference to the salvation of all men – or that “all men be righteous” and “use the means he has appointed to that end”. He does this frequently. I’ve already covered Calvin on 2 Peter 3:9 so there is no need to repeat the arguments here. I mention Finlayson’s take on Calvin because it comforts me that much more theologically able people than me have read the same source material I have and come to the same conclusion! Second Finlayson is accurately representing his own tradition in allowing that God desires the salvation of all men, or that “all men be righteous”. In his views here Finlayson is merely stating the standard doctrine of the Free Church of Scotland from its inception. This type of language could have come straight from many of the “founding fathers” e.g. Thomas Chalmers. Incidentally, Finlayson comes from the same Scottish Presbyterian tradition as John Murray of Free Offer of the Gospel fame. Like I said, next week should be more “weighty”.